This book explores black male/female relationships in the west and suggests seven steps to solving the crisis in relationships based on secondary research, personal stories and opinions gathered from a wide cross-section of people. It touches on some really important issues about building and maintaining sustainable relationships. 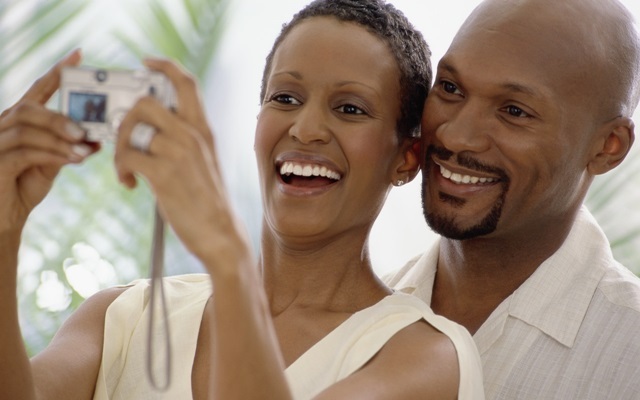 The seven steps outlined give some interesting, practical advice on how to solve the ‘crises in black male/female relationships. The foreword by the author’s wife is touching, if a little unusual, given that this is normally written from the point of view of authors. I am excited on receipt of the book and don’t quite know what to expect as I avidly flick through to the first page. Based on the title and graphic, I’m anticipating a love story to ensue but that is not the case. What follows is a comprehensive look at some of the most widely discussed issues facing black men and women and how these can be addressed to ensure fulfilling relationships. It is clear that the author has researched the theme extensively but you could be forgiven for feeling that the narrative appears a little stilted at times. I have to admit to flipping back through previous pages or re-reading certain sections to really get the points being made due to the author’s effusive style of writing. I’m not taking away from the book but I can’t decide if this is a novel, thesis or reference material. That said, the language is simple enough to follow, and the subject matter one that continues to incite and encourage debate within the black community. The prose is easy to grasp but sometimes gets lost in the many direct quotes and references included. Interestingly, I did not expect to see graphics or imagery in the book to supplement specific topics being covered. I expect readers will form their own opinions at to any intrinsic value these add to the book. Several characters are mentioned throughout the book but from a reference point only, not as protagonists in the story. There is a fair amount of humour littered throughout the book as well, which helps lighten an otherwise deep and heavy subject matter. Whilst the subject matter is an interesting and well-debated one, it has the characteristics of a self-help manual rather than a novel telling a cohesive story throughout. Additionally, most of the points raised have been covered in numerous books previously written on the subject of black male and female relationships – variations of an old theme, in my view. The sub-title of the book is Is Marriage just for White People? is derived from a 2006 article published by Joy Jones entitled: Marriage is for White People This is expanded on in the Introduction and makes for interesting reading. The author offers some practical suggestions and advice to black couples and those looking for a positive relationship, based on his own experiences and observations. He takes a really in-depth look at the economic, social, political and cultural factors that impact upon black relationships in the West, and really drills down into just how these individual components affect male/female interactions. While the anecdotes are very relevant, I would personally like to have seen more perspective from black males to balance out the arguments somewhat. Everything aside, it is clear that the author is familiar and comfortable writing on the subject of relationships, and specifically those pertaining to black men and women. Happy reading!